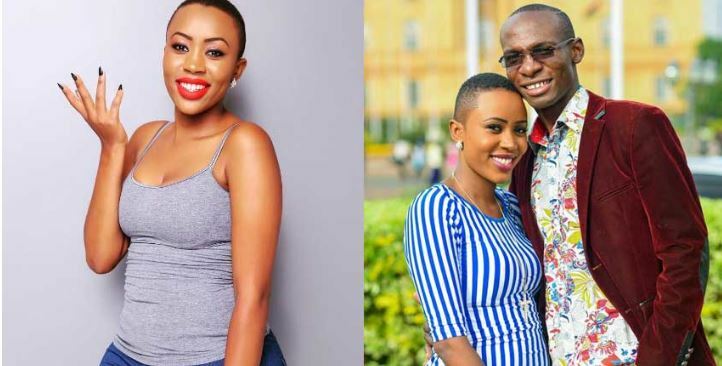 Last week, TV talk show host Sande Bush alias Dr Ofweneke disclosed that he was ready to marry again two years after his failed engagement with gospel singer Nicah The Queen. And now, the ‘Naringa’ singer has opened up about her life after the comedian and the kind of woman she would want him to settle with. Word on the grapevine was that you were dating a Black American, where did that come from… and is there some truth? (Laughs) My God. It is just funny how people can manufacture stories. There has never been a Black American in my life. But if that is what people wish for me and what God purposes, then let it rain. (Laughs) Am I glowing that much? You see I am one hell of a hot ‘mama’ who is back in the market. I need to pamper myself and glow. I need to slay. I am peaceful and felling all the love so let me kill it. Does that mean you are dating? I am single and ready to mingle. I mean, I moved on. It’s been two years and I have now healed from the heartache. The good thing is that I don’t regret my marriage to Ofweneke as out of it we got a baby. I’m happy for him that he has also moved on. The other day he indicated that he would be ready to settle now, settle with a lady with short hair like you. Is it that you both miss each other? I mean there were both good things and bad things in our relationship and that means you don’t write everything off even after you move on. We have babies who should not be affected by all this and that is why you should throw your differences aside for the sake of babies. If he decides to wed today, I would let baby be his flower girl and I would be there wearing my best dress to witness and congratulate him. What is that one thing you wish for when you think of your affair? Honestly, I pray that whoever he marries understands that we have children and that she should respect that fact. Children are always innocent and they should not be subjected to the issues of parents separating. Besides, Ofweneke and I are co-parenting and that will always be. However, I would want him to get himself a loving woman who understands. Talking about children, unlike many other couples, you hardly have your kids’ photos posted online. Why is that? I think it is a question of keeping them protected and being private. There is a time when our kid was attacked by a colleague in school after she was told her mother and father had separated. I just have to keep them private. In fact, I want to keep my next relationship very private. What is that one thing you would like to applaud your ex Ofweneke for? He is a very good father. He can be caring. We separated for reasons we both know. Everyone had their shortfalls and dark skeletons. But I guess this is how things were meant to be. No. I have been recording and composing and will be releasing my new music soon. Besides, I am farming in Kitengela, next to Athi River where I moved into my own property. I do mushroom and tomato farming and will soon go into snail farming. There is so much money in this business. Many ladies just want to open shops in Nairobi and sell clothes, and that is OK, but few want to get dirty, farming. This is a good hustle.